EGC’s C6 Control System offers distributed environmental control technology with an intuitive user interface. We have combined the best in PLC based PID control technology for tight control of the environment with an interactive graphical display which is easy to learn, easy to use and informative. This integrated control system provides flexibility, expandability and the ability for future upgrades in software and hardware. The core components of this system are the User Interface and the Chamber Interface. The User Interface is the gateway between the operator and the Chamber Interface. ECoSys has been designed by scientists for use by scientists. The most important and visible part of the User Interface is the display which provides a graphical representation of the chamber’s current condition and history. 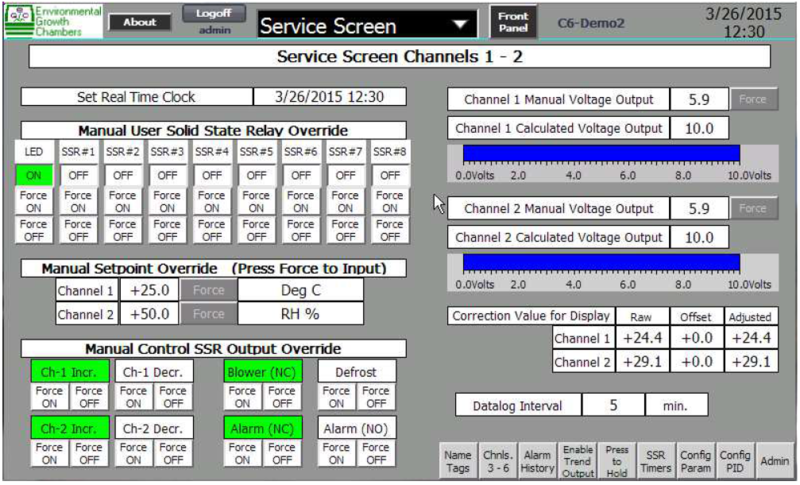 This display allows for easy and rapid verification of current setpoints and actual values. Changes in operating conditions are entered via the User Interface’s touch screen or by using an optional mouse and keyboard. The symbols, icons and pull-down menus on all of the screens have been designed to be simple to use and easy to recognize. The Chamber Interface is the component which continually manages the operation of the controlled environment. This PLC unit is responsible for sending control signals to refrigeration valves, energizing relays to turn on lighting or irrigation circuits and controlling any other processes for which it has been configured. 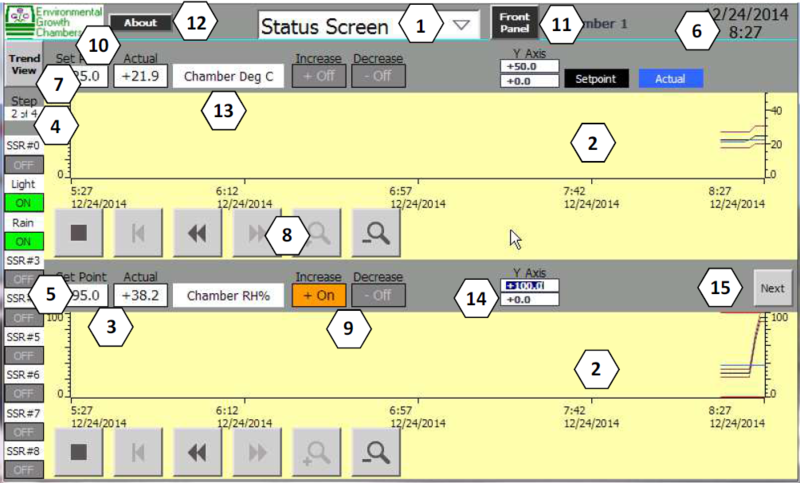 Even if the User Interface is disconnected, the Chamber Interface will continue to operate on its own. 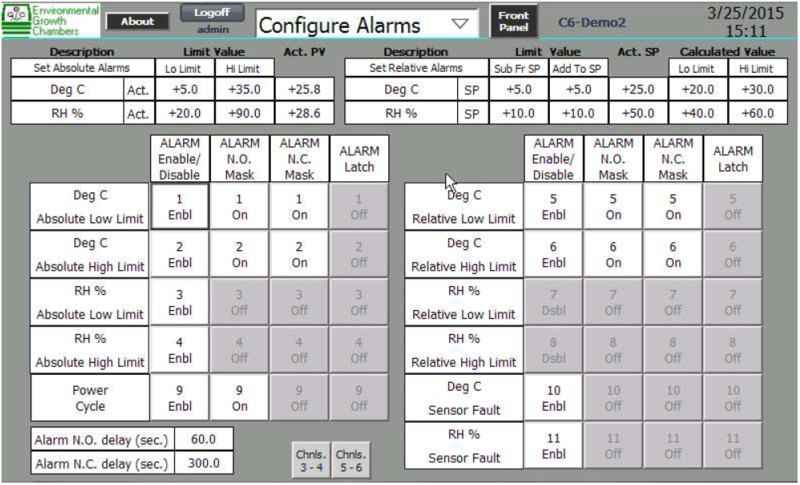 The C6 Control System also brings a new level of expandability to the controlled environment market. This platform offers several advantages to the end user, including support for third-party sensors, data acquisition, and BAS integration. When combined with our optional CCMS software, this system offers the user complete centralized control and reporting for their entire laboratory with the ability to control multiple chambers through a single User Interface.